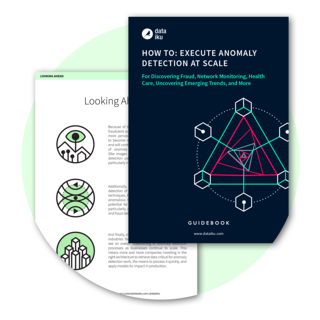 From fraud to health care use cases & everything in between, download your free anomaly detection guidebook now! Anomaly detection can be useful in a number of fields and industries where rare events are very important or impactful, but they are hard to find within data. Because of its wide array of applications, mastering anomaly detection is incredibly valuable. A breakdown of the types of anomalies and anomaly detection use cases. A step-by-step guide to running an anomaly detection project, both from a business and a technical perspective. A walkthrough of an example fraud detection case, including code samples.